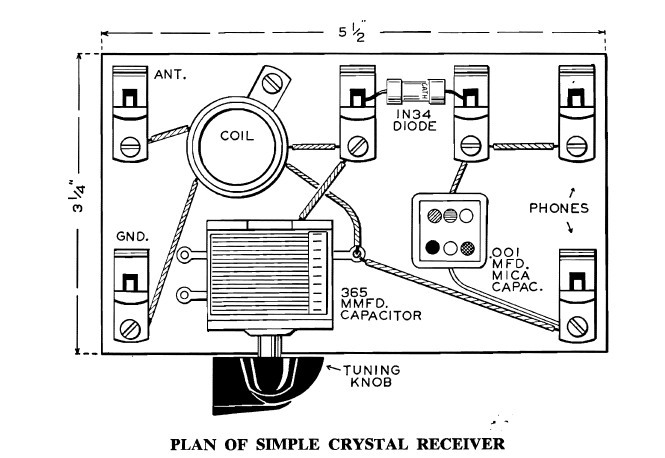 My first crystal set didn't work very well, and my first transistor set didn't work at all. There are other people out there whose first radios didn't work, either. Guess what. One guy found out years later that his radio actually did work but the crystal earplug was defective. Can you believe that? Then there was Jon, who told me he couldn't ask his mom for money, so he asked her for wire. She gave him a spool of floral wire and off he went to wind his coil. It didn't work because the wire was not insulated, but there was no way for him to know that at the time. His next set also failed, and there weren't any AM stations of any significant power where he lived, anyway. 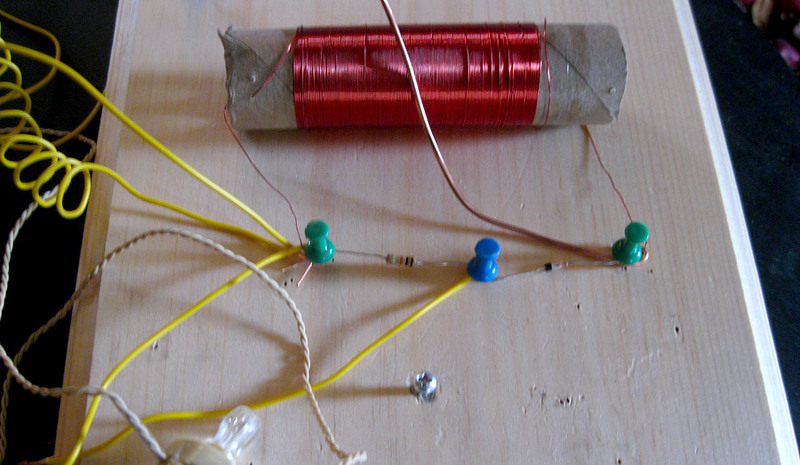 Eventually he built a crystal set that worked so well it drove a loud speaker. 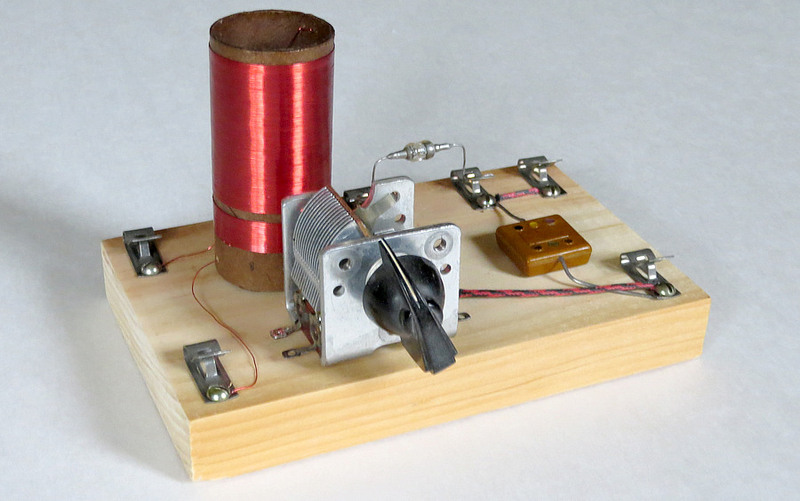 In 2014 a friend called and asked if I could fix a crystal radio for a kid he knew. I returned this to him. The slider has a nylon "bearing" that is practically frictionless and keeps a constant pressure on the coil winding no matter what position it is in. You may wonder why the diode is on the ground side. 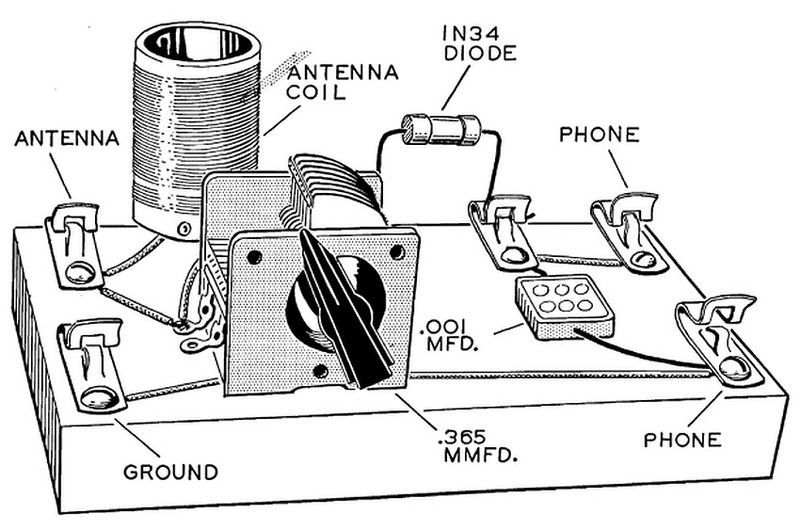 The answer is that the coil is across the ground and antenna connections, so it doesn't really matter. There was a screw there, so I used it. 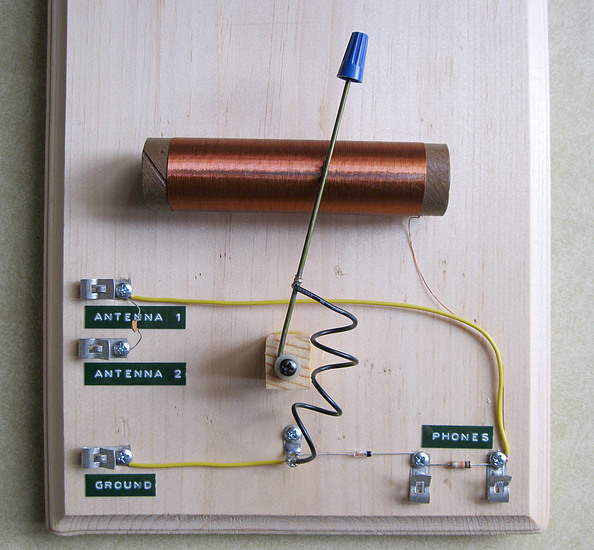 I boxed up the radio with a letter instructing the kid how to make an antenna and ground, as well as what he should expect to hear with this setup. I included my email address for any questions he'd have. I never heard anything back. I asked my friend how the radio worked and he told me the kid never used it. He told me not to blame the kid, his parents are messed up. I should send him my "Get Smart" DVDs. "Return with us now to those thrilling days of yesteryear." Back to the first radio: Since I didn't have the proper coil, I just left it out. It didn't work very well with no coil. 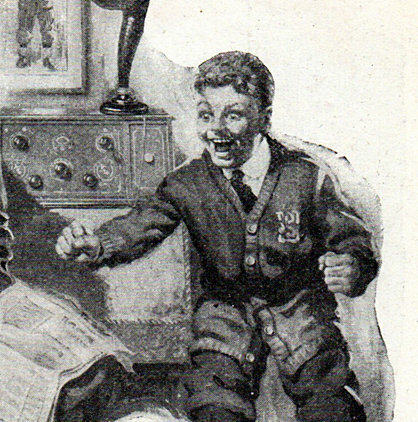 Here's the radio, from "The Boys' Second Book of Radio and Electronics," page 21. 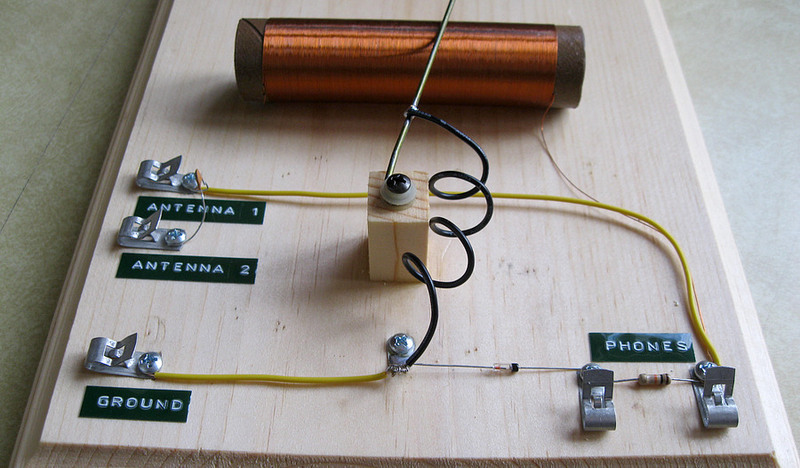 Morgan writes, "An antenna coil of this type can be purchased at small cost at almost any radio repair shop." Well, I couldn't get one in 1966 and still can't in 2015, so we'll have to MAKE one and FINALLY complete the radio! It actually works better than the set on Page 1. According to Morgan, once the parts are collected you can build this in an hour or two. It took me 49 years. 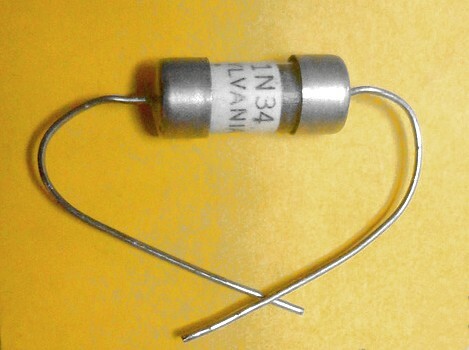 The type of diode used in the drawings would have looked like this. One last thing to mention for you eagle-eyed people. You may have noticed the antenna and ground connections in the "perspective sketch" don't agree with the photo of the completed set. I used the above drawing to wire it, which agrees with the schematic. The mica capacitor is just there for the looks. The value isn't critical, and it's not even necessary to have it in the circuit. As a matter of fact, in the list of required parts Morgan has the value at .0001 mfd but the picture shows .001 mfd. The one I used is .005 mfd.